Laura and her family (which are her older sister who is blind, two younger sisters and parents) have moved into town. They were living in a small cabin far away from anything but an Indian tells that it will be a long and difficult winter so they decide to move back into town to survive the cold. They do loads of chores when the sun is out like making hay sticks to make a fire because it is freezing cold. Trains could not get into town because there is too much snow on the tracks, Laura's dad helps to shovel it off. 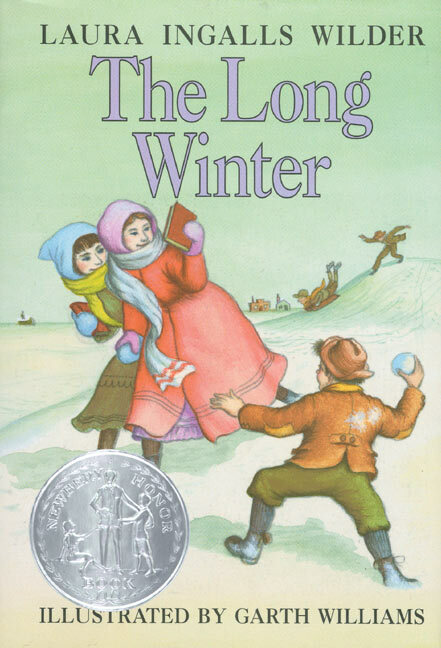 There is also a part where her dad wants to play the fiddle but can't because his fingers are frozen from the cold. Everyone survives the winter. The stories are based on her real life experiences growing up. Rated: 5/5 - "The author uses lots of good words and it's a good story - it seems very exciting." 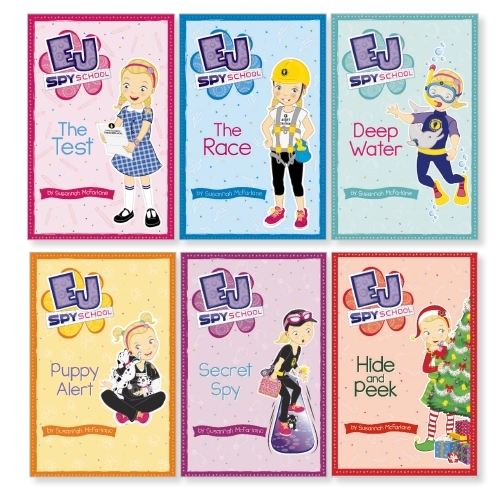 EJ is a spy and when she first becomes one she doesn't think she will be a very good one. But after the first few missions she is the top one. Her code name is EJ 12 and she is very good and the leader. She solves problems. When you look at the cover it kind of gives away the story. I've read all 20 books and I'm waiting for the next one. Rated: 5/5 - "I really like them, I've even re-read them." The story is set in Perdido Beach where all people over the age of 15 disappear and those under 15 have weird powers and rule the world. It is about a group of kids who live there (the book mentions so many people I can't remember all their names) and how they survive starvation and cannibalism and something called the 'Fayz'. One of the characters has very strange dreams, there are also lots of weird, mutant animals. The main evil thing is the Geiaphage which is radiation that came with a comet and now lives in a cave and is growing bigger and invades people's minds - it feeds off radiation. Rated: 4½/5 - "really, really good, but not my favourite book. The best one I've read this year was The strange and beautiful sorrows of Ava Lavender." This book starts when a new dentist arrives in town after the old one died under suspicious circumstances. The new dentist greets everyone and goes to school to introduce herself. She wants everyone to call her 'mummy'. Two children, Alfred and Gaby, don't like her and wonder why she is the new dentist and what happened to the old one. Alfred loses his tooth but when he wakes up in the morning instead of finding money from the tooth fairy he finds an eyeball. There are more gross things - and Alfred follows the new dentist around to find out what she is up to. Lots of strange stuff happens. Rated: 4/5 - "really funny."